I was looking for a Digital Camera that fit my needs and wasn't one of the more expensive ones. My grandfather had a Sony camera but he had been using his for awhile but still said it was amazing. I looked up Sony cameras online and found a cheap one at Walmart that had great reviews. It was the Sony Alpha A230L . I checked out everything I could about this camera and how it worked and how other people liked it, and eventually I decided to order it online. As soon as it arrived, I took it for a test run. I went outside and started taking pictures of anything I found interesting. The good thing about this camera is that you don’t have the hassle of developing film and can upload your photos directly to your computer. The photos that I took outside and inside were both clear quality and absolutely stunning. It works great in outdoor shots just as much as it works great in indoor shots. I don’t believe that there are any bad views on this camera yet, and I’m sure that there won’t be. The only thing is that you have to be careful about the lighting you’re in but that is true to any camera you use. It’s on screen help guide was also a huge help. After using point and shoots for so long, I had no idea how to work the camera but as soon as I viewed the guide, I was shooting beautiful shots in no time. The picture display gives you a quick view on the picture you just snapped and each time I looked, it was a beautiful and clear photo. 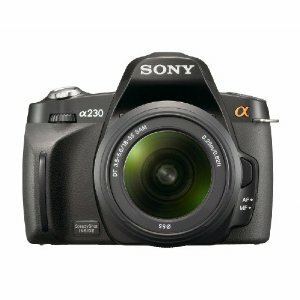 I would recommend the Sony A230L camera to anyone who wants a cheap, easy to use, camera. I know that I will be using this camera today and all the days that follow.